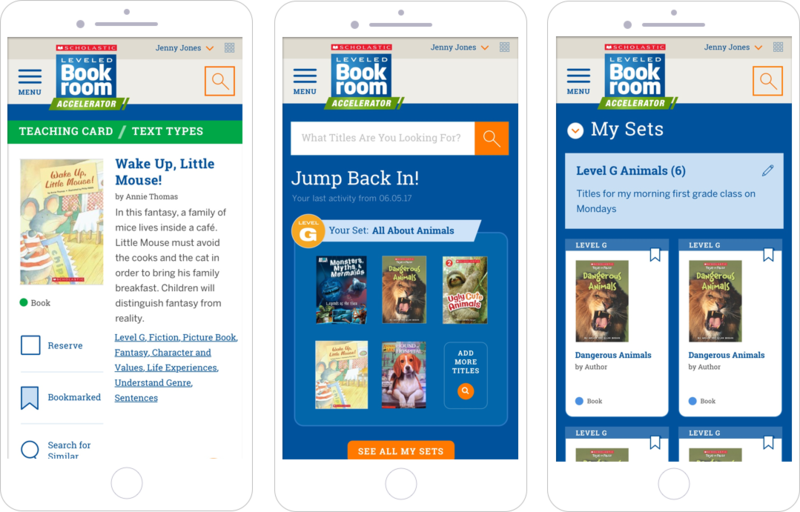 Scholastic, the world's largest publisher of children's books, was seeking to transform its leveled libraries into powerful ELL curriculum tools for teachers and reading specialists. 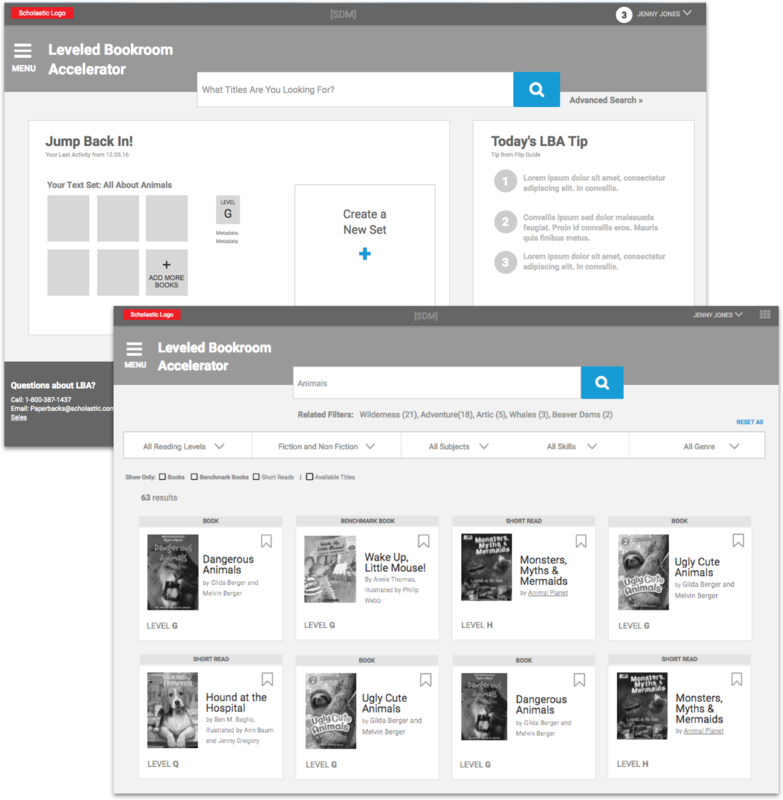 To achieve this, they partnered with Backpack for the product strategy, user experience and visual design needed to create the Leveled Bookroom Accelerator (LBA). 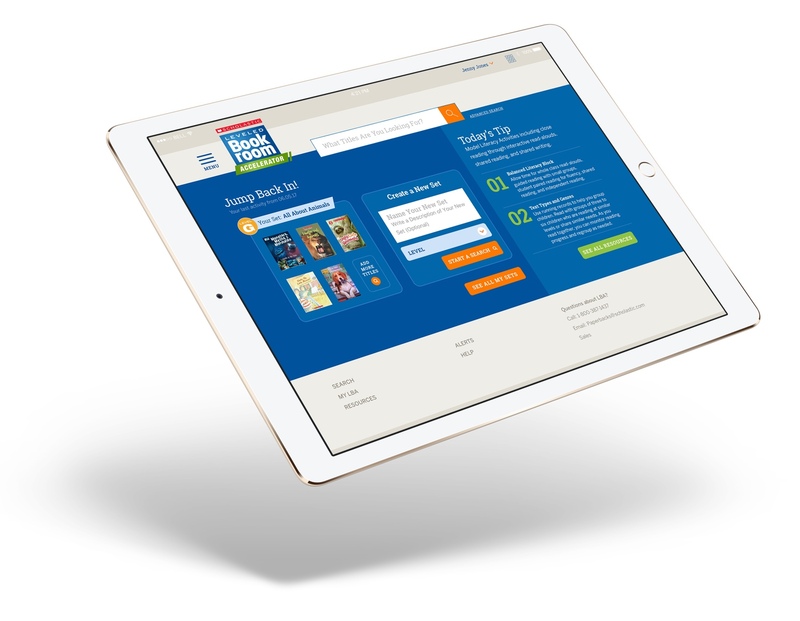 Creating a digital companion to these libraries was an opportunity to allow for more purposeful use of the books and resources to plan and teach lessons. 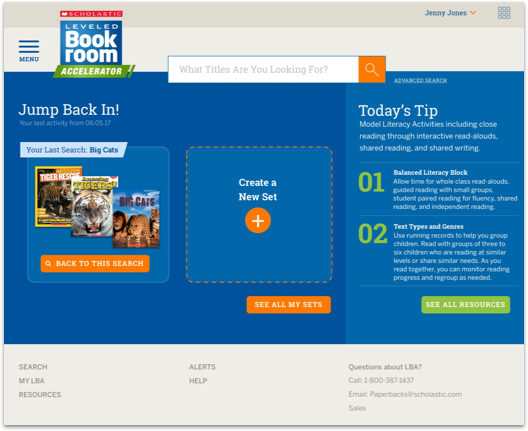 LBA lets educators target the books and short reads that match the focus of their lessons, and save them as custom sets. These sets can be based on student reading level, areas of interest, or specific comprehension skills. 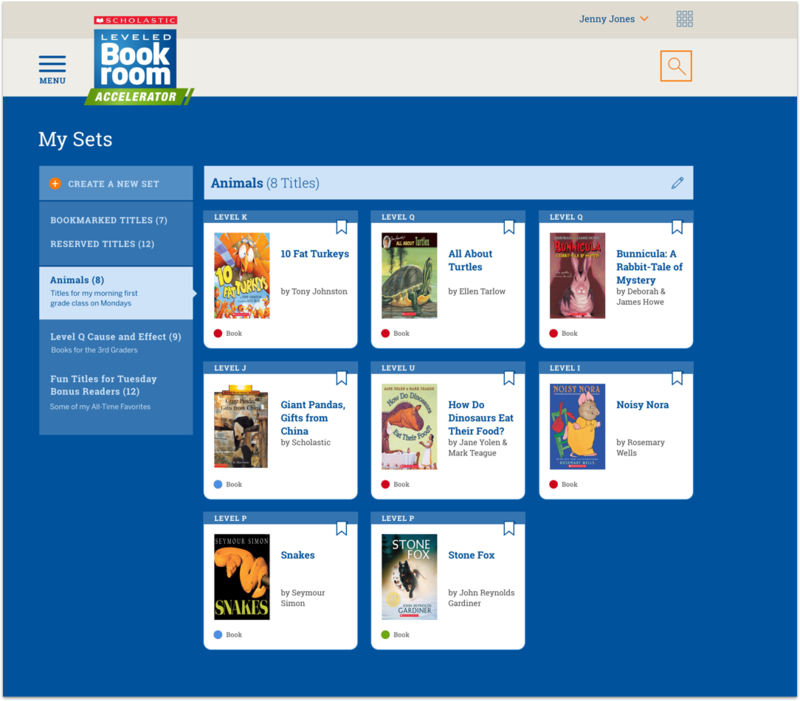 The teacher can easily match the right books to the right student in just a few clicks. 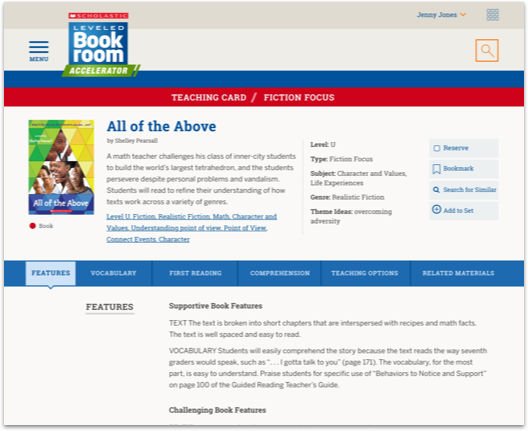 LBA also features a "Teaching Card" associated with every title in the library. The card is a complete lesson that can be taught in real time from any device around the specific book or short read.